Have you ever been camping? It has never excited me before. I’m just not a camping kind of person, I need my creature comforts! While we were on holiday I amazingly agreed to go camping and do a wildlife safari at Leopard Trails in Sri Lanka. I was surprised I agreed to it and was dreading it for weeks. I was a nervous wreck at one point! I have to admit defeat. It was the most amazing two days of my holiday. The safari was spectacular. We saw the most amazing and rare sightings of animals. I was even bounding out of bed at 4.40am for the morning safari with so much excitement it was like it was Christmas morning! The camping experience was special. Your tent, was the size of a hotel room, with a super king bed, electricity, flushable toilet and shower. It was also fully catered with restaurant quality food. No bangers on the fire (unless you really want it, they will fix anything do you). 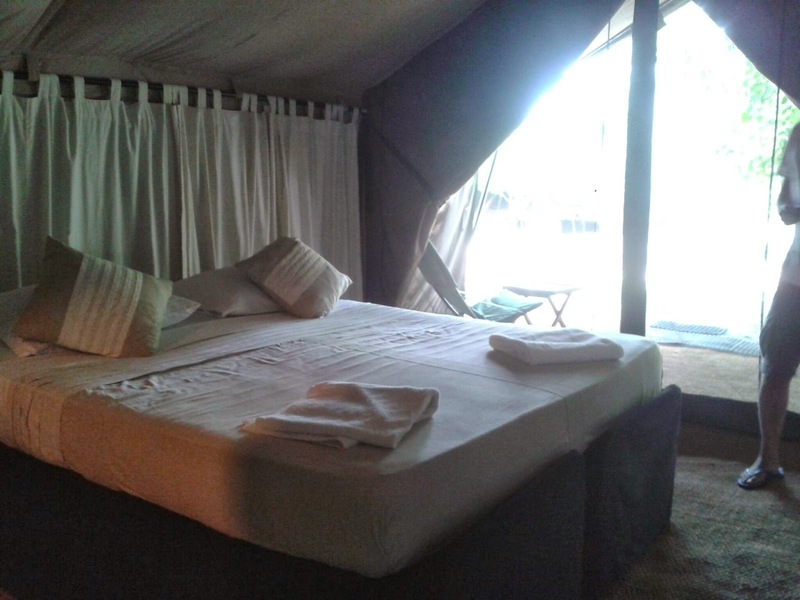 Luxury camping is the way to go, it was an experience of a life time! Disclaimer: this was something we chose and paid for by ourselves. All views expressed are my own.